San Antonio is casting their vote in the 21st Annual Express-News Readers’ Choice Awards for their favorites in such categories as restaurants, nightclubs, retail stores, and Spurs players. 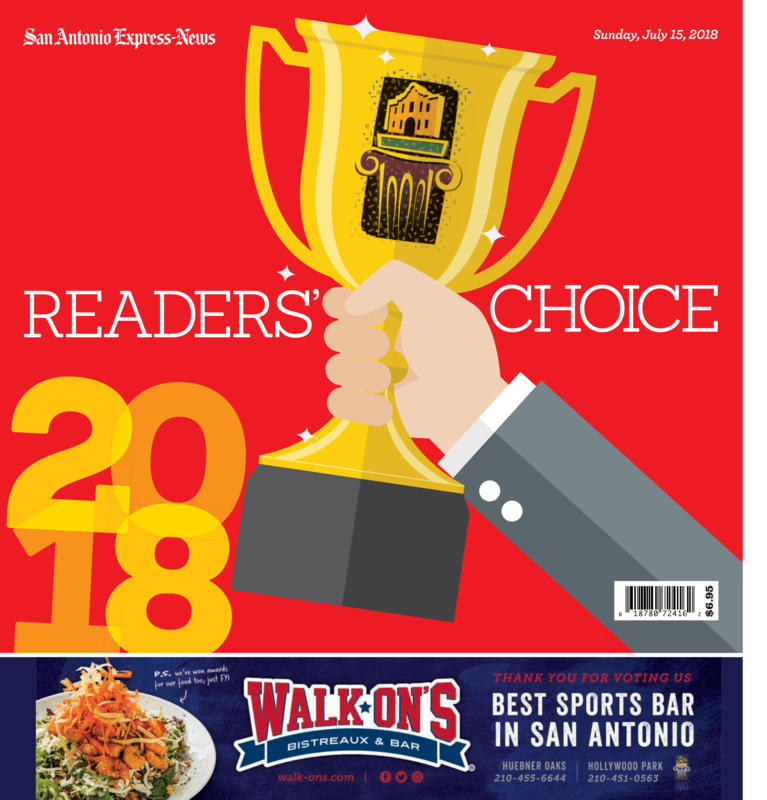 The results section for the 2019 Readers’ Choice Awards will be inserted in the Express-News on Sunday, July 14. To further garner votes for your establishment, we are offering three guaranteed slots for the online voting ballot per category plus a write-in position. Don’t miss out on being listed in this year’s Readers’ Choice! Contact your account executive for specs and rates.